Looking for a cheap apartment in Tokyo can be a nightmare! I am always asked for advice on finding an apartment in Tokyo. I have lived in the Tokyo area for nearly half a decade in which I’ve lived in four different apartments with each one closer and closer to the heart of Tokyo with each move. 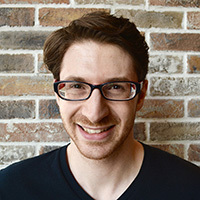 During my time here, I have learned a ton about renting in Tokyo from my stint as a real estate broker working in the Shibuya, Shinjuku and Minato areas of Tokyo. We worked mostly with expats, and we helped them get really incredible deals on accommodation in Tokyo. If you’re stressed about this whole apartment hunting situation, we wrote this article about some ways to reframe some of the difficult parts about living in Japan. I have heard just about every reason in the book to decline foreigners by Japanese landlords and also what makes the Japanese capitulate. I saw the major differences between what European and Northern American expats want in a house or apartment compared to their Japanese counterparts. Expats looking for investment properties should know that Japanese wives tend to make all the buying decisions in real estate and will almost never settle for a home in which the bathroom and toilet are in one room; yet expat women at least before getting used to life in Japan tend to prefer higher counter-tops than those available in Japan. Not only do we want different things in an apartment, Japanese landlords also want to see different things from us than we are used to from our home countries. Some of that is due to bias against us being non-Japanese and some of it is just what is considered regular here in Japan. … nor do they know what they want in the first place. I’m not preaching. Hey, I was there. I cannot even count the number of times I was denied on apartment applications in Tokyo. But the more I complained about how unfair things were, the less I got accomplished. Once I changed my focus to working within and (sometimes) outside the Japanese system to get what it was I really after, things started changing a lot for the better. It isn’t fair, but the sooner you accept that and move on, the more success you will get in finding a place in Tokyo. If you are reading this article, I imagine you want to be in the successful camp. To be successful, it helps to know what mistakes other people make first. They say a smart man learns from his own mistakes, where a wise man learns from the mistakes a hundred men. With that in mind, here are the Top 5 mistakes expats make when searching for an apartment in Tokyo (or anywhere in Japan). #1 – Not saving enough cash before they move. Deposit 敷金 shikikin cost is usually one to two months worth of rent. This is to prevent damage to the apartment. It is like insurance to your landlord. Some businesses are asked to pay 3 or 6 months’ worth of these! But as a regular apartment for under 300,000 yen/month, expect to pay one deposit for sure. One deposit equals the rent price minus any other fees such as maintenance fees you may be asked to pay monthly as well. It is one true rent. Technically, you could get the deposit back after you leave your apartment assuming you left it spotless. Sometimes this is impossible, even if you clean up perfectly. Key money 礼金 reikin cost = up to 1 months rent and in some cases more: Key money is frankly a legal bribe that landlords try to force you to pay. The origin is back after Tokyo was firebombed the GHQ (Macarthur) and there were very few homes during the rebuild. Tokyo was flattened like Pompeii. Many more died than in Hiroshima or Nagasaki. So when the rebuild started, people were so eager to get into any home, they started bribing the landlords. This came to be called 礼金 reikin lit. “Politeness money.” Sadly, even now as Tokyo is possibly the most populated metropolitan on earth with more buildings than you could shake a stick at, key money is still in effect. 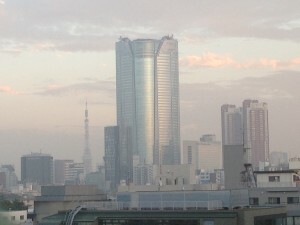 I have found that it is negotiable for apartments around 20万 JPY (200,000/month). For anything less, landlords will likely be insulted at the mere mention of bargaining and shun you…not good. So better to pay and have a roof over your head than not. Agency fee (real estate brokerage fee)　仲介手数料 chuukaitesuuryo cost= up to 1 or in some cases 1 1/2 rent: In Japan it is illegal to conduct a real estate transaction such as a bye and sell without a licensed broker. This is a way of protecting the industry and keeping more money circulating in different hands (and increasing taxes). Some agents may have pity on you and allow you to pay them after the first month or half at a time. But don’t count on it. First month’s rent: Although this may seem obvious, actually for higher rent properties many landlords are willing to wave the first few months’ rent just to get you in. Anything below JPY 200,000/month expect to pay this along with the other atama-kin right away. Key exchange money 鍵交換代 kagikoukandai cost = around a few thousand yen. This is must and no real way to negotiate around it. Maintenance or service fees 管理費 kanrihi cost= 2,000~30,000 yen or more in some cases per month : This is the fee to watch! This fee is often real (not just inserted by the landlord) to cover essentially an association fee in an apartment area and pay for general up-keep of the whole building. However, many landlords use this a bait and switch. What they do is list the apartment for say 60,000 yen/month. Looks good if that is your range. 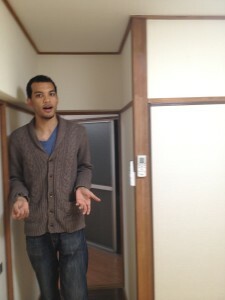 Then you go and find out you will have to pay 85,000 yen per month! A maintenance fee of 25,000 yen. Yay. Sneaky. Well, the good thing is that the maintenance fee is not going to be a multiple of the rent when paying for the deposit, key money and the agent fee. Others may include a guarantor company fee 保証会社代 hoshougaishadai cost= up to one rent: Some landlords will insist you (especially because you are a foreigner) come in with a guarantor company that basically becomes the actual client on your behalf where you become the tenant. You pay the guarantor all fees in this case and they pay the real estate agency who pays the landlord. This makes perfect sense…in Japan. Basically, it means the landlord fears you will just bail out mid-contract so the guarantor as the name would suggest guarantees payment. So to make sure you don’t bail and leave them in a bad spot, guarantors make you pay them a fee too. Insurance fee 保険料 hokenryou : You may be politely asked to apply for insurance but usually you can select to do this or not yourself. The cost depends really on what you cover. Lastly, SAVE for the exit! Do not expect a yen back from the deposit and be happy if you get any. The cleaning fee they charge you at the end is often blown out of proportion. Especially if you have anything made of 畳 tatami (bamboo material), expect it to cost and arm & a leg to replace when you leave so it may take nearly all of your deposit to do so. Also moving out may cost you in two ways: One to transfer stuff to your new place (assuming you stay in Japan) and another cost will come from what are called 粗大ごみ sodai-gomi or large trash such as beds, refrigerators and washing machines. You must pay to have these removed and it can cost up to a few man (about a few hundred bucks). Plan ahead and go on Mottainai Japan (the FB page) or Craigslist and see if you can either sell them or give them away. That is how I got all my large electronics. The guy was so happy to give it to us because we saved him the cost of throwing them out. Strange but again, what makes sense in Japan doesn’t have to make sense anywhere else. It is Japanese logic. #2 – Not having all of your ducks in order before you try to move in. Your resident card: You will not be allowed to move into an apartment unless you can prove you have a valid visa to stay for at least another 24-27 months as most contracts for apartments go for at least two years. If this is too much for you, consider sharehouses, guest houses and private rooms at hostels. Proof of residence住民票 juminhyou: If this is your first apartment in Japan, you may be asked to apply for one at some point. If this is not, then you will be expected to have one in many cases. A guarantor: Oddly, many guarantor companies will still require you get your own “guarantor.” This in some cases can be your company or school if you teach. At a minimum this person will have to prove over 500,000 yen/year in salary or net worth but more is better if you decide on going the non-company route. It can be very nice not to have your company involved in your living affairs so see what you can do. An emergency contact (domestic and foreign): They will want a Japanese contact or someone in Japan and possibly one from your home country. This is for your safety yes, but really it is just another person to contact in case you bail on rent payments. A Japanese cell phone number: What? When I went to Softbank to get an iPhone they told me I had to already have an address and a phone number to apply. How can I get a cell phone if I don’t have a permanent number and house in Japan!? Yep. Seen this one over and over again. Japanese systems are simply not built with us in mind. They assume you are a young Japanese who has parents in Japan and a permanent residence/number. But guess what? No one cares what those numbers are. I’m not saying make them up, but if you must provide something that doesn’t exist, find something that works. A friend’s address and number may work. Once you get the cell phone, now you can use it to apply for your first apartment. When you have no chicken to lay the egg, find a turkey and call it a chicken. That is the logic that will get you very far in this country. Very far. Don’t protest. Just cough up the documents and info they want and 9 times out of ten, you will get what you need. #3 – Not having enough time before needing to move in. At least two weeks assuming you have 4-8 hours per week to search with brokers: One, as a foreigner you will be denied from a large chunk of apartments you see just for being a foreigner no questions asked (that is, for anything less than 30 man or 300,0000 yen/month). Don’t cry. Just expect this and keep searching and applying. You will get in but like sales, unless you have a special in with a landlord, it is a bit of a numbers game. By the way, if you are of East Asian descent and have a name with kanji, always ALWAYS ALWAYS use the kanji name and you will get much better treatment on any kind of application. If you are not however, like me you will just have to play the numbers and try and find what you want. This numbers game means you gotta look for a little longer before you find a place that will accept you and that you like. It is just how it is. Ideally, you will have at least two weeks in which you have 4-8 hours or more to search. By search I mean time you spend with different brokers searching at their office and out in the field. #4 – Working with ONLY ONE real estate agency and taking everything they say to you at face value. When you enter that agency, you are a lamb among wolves. This is true in any country but certainly more so in Japan where the real estate industry is notorious for its opaqueness. You can see different prices for even the same apartment so be vigilant. Make sure to use at least three agents for a given search area no matter how much they seem like your “buddy.” They know a lot you do not know. No matter how much they tell you, they still know more. The best way to play on a nearly even scale is to do your homework online about your area and consult with multiple agents. #5 – Not making decisions. Some tips to help you get a nice apartment in Japan without breaking the bank. In life and when it comes to jobs and apartments (that you like and can afford), my general rule is this: Apply, apply APPLY! Don’t wait. Don’t not apply because you don’t know if you can do it or not. If you apply, your chances of getting what you want increase. If you don’t, you have no chance. I like the former odds over the latter. Next, if you do not have the time to do a proper search or the money yet for a proper apartment (again, you’ll likely be in it for at least TWO years so decide well!) then just go with a sharehouse for a bit. Some sharehouses like Sakura House have strict rules like no guests, but not all are that strict. Look around and get in one quick and easy. You will have time to either job hunt or get settled into your job before you search for a two-year commitment apartment. A lot of people offer subletting and sharehouses on Craigslist. Just be careful before you agree. Stay at a hostel or with a friend first. I know this sounds like a lot but a little bit of caution before you decide is best. I only say to decide quickly ONCE you have seen your options. A nice picture over the internet and emailing some Craigslist stranger is not enough information for me to agree to move in. Do not tell the Japanese real estate agent (who in turn may blab to the landlord) anything personal about yourself. This is a real estate deal, not a chance to practice Nihongo and make friends. Anything you say and do can be held against you later. This includes when you move in. Your neighbors may be quite nosy and ask lots of questions. 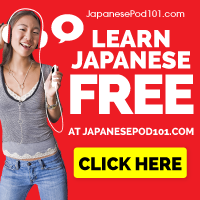 If you are at your job or neighborhood and ever asked a question that seems really personal or makes you uncomfortable, I have found the Japanese have a perfect response for this that works just as well for us: Smile or laugh and change the subject. It works wonders unless you are talking to persistent drunk people. But you can just keep ignoring them and usually no one ever remembers or they get the hint. In general, use your head and your gut when searching for an apartment. This is a real commitment so do your research. Once you know though you have what you want in your sites, do not wait. Grab it. 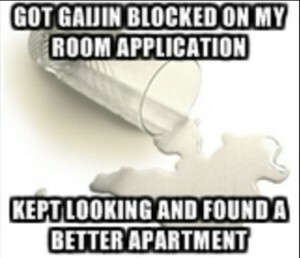 If you get the “Gaijin block,” don’t sweat it. Just get back up and go at it again. Be a successful foreigner, not a complainer. No use crying over spilled milk. Once you get the apartment you really want in an area you love, you can really enjoy your life in Tokyo or anywhere for that matter in Japan. Thank you for reading. I hope you are able to find the place you really want in Tokyo. Remember, don’t settle and be quick to decide once you have seen enough. Got any questions or comments? Shoot down below in the comments or on Facebook. 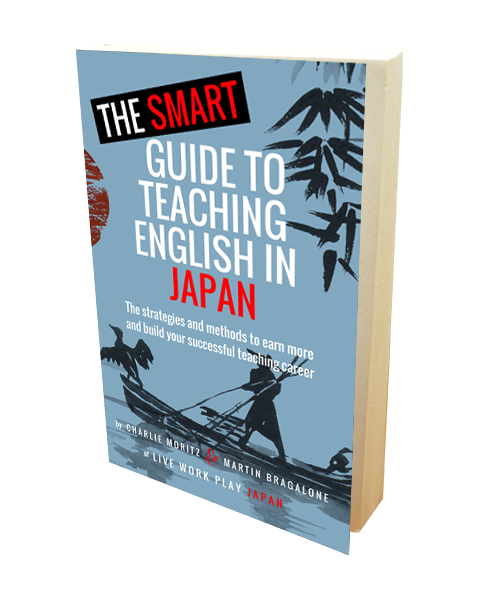 Don’t forget, you can subscribe here to get both of our guides on making friends and travelling around Japan.